Larkin is an A-line dress w/a bishop style neck on the front & sleeves. The neck edge can be finished w/a casing w/elastic or bias neck band. 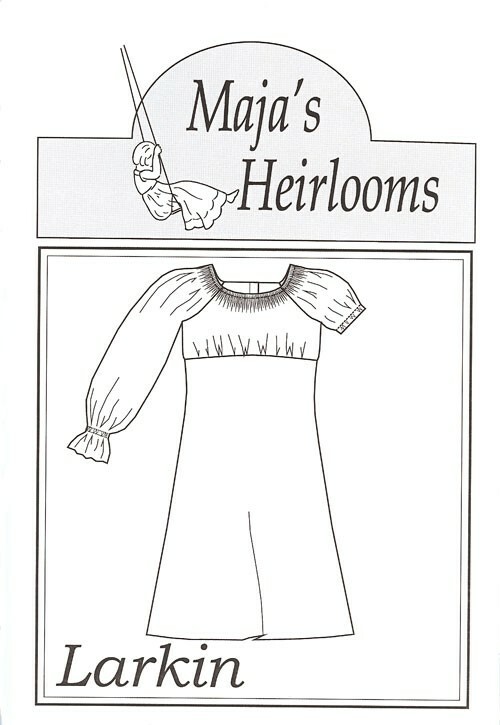 Short sleeves are finished w/elastic & long sleeves are smocked at the cuff leaving a ruffle. The dress closes down the back w/buttons. Select Pattern Size option 1 - 4 yr. 5 - 8 yr. 10 - 16 yr.